Do I Really Have to Eat It? 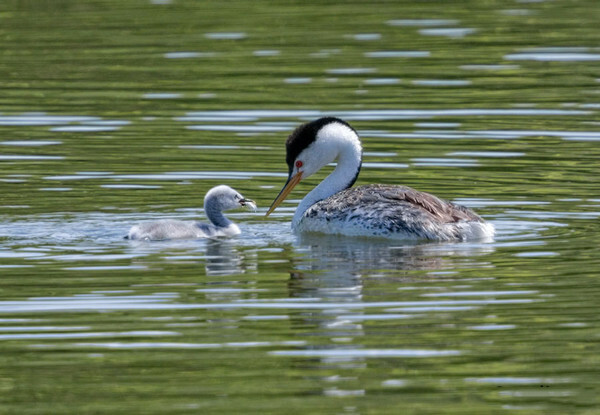 Clark's Grebe and Chick. Grebes consume a lot of feathers to help with their digestion. This little one wasn't so sure he wanted to eat it.